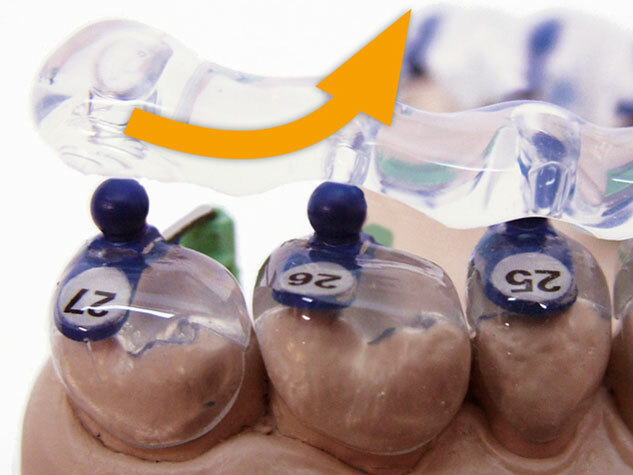 The tray is designed so that the fixed plastic caps are embedded within the silicone tray and easy designed to easily compensate for any positional deviation of the teeth (impression appointment–bonding appointment). The silicone tray is removed by its end from the ball heads of the quick base. 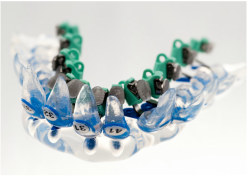 Support this procedure with your finger, keeping the caps pressed down on the tooth surface from the vestibular. 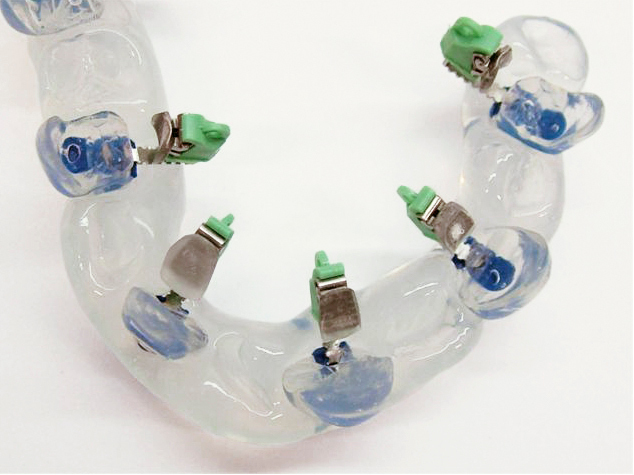 Loosen the cap and the bracket cartridge from the tooth by moving from the outside to the inside. 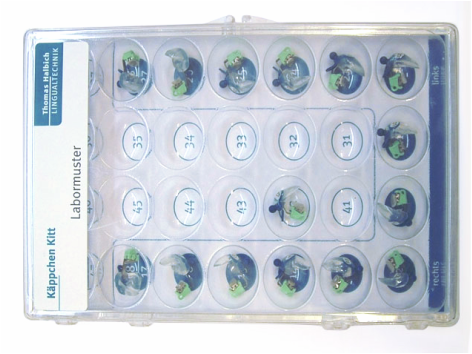 The used caps must be cleaned with a disinfectant solution or alcohol and stored in the cap case after being removed from the oral cavity. Do not discard the caps.